Carpenters are often found to have a unique affinity and respect for the material of their trade. Working with it is a source of pride and pleasure, and the finished article an object of veneration. A native of Liverpool, it was London’s art and music scene that first drew the 43 year old to the south, but he would quickly find a more practical living in loft conversions. 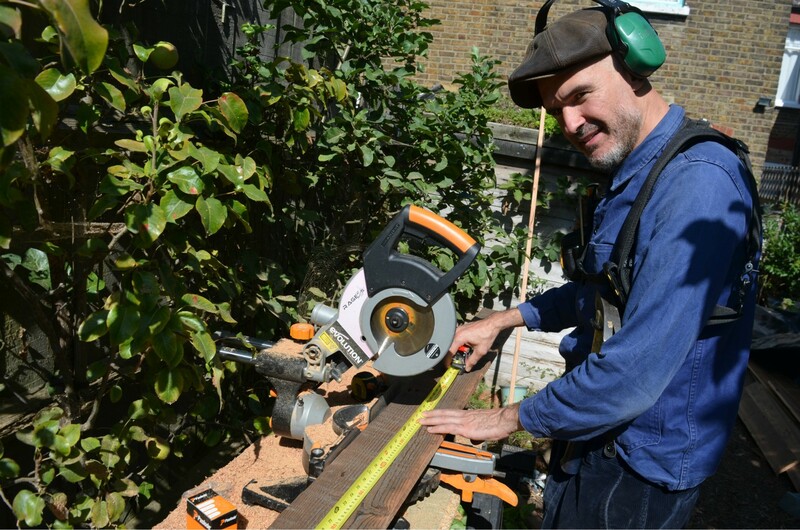 Joel’s business is now exclusively concerned with shed and wooden extension building, a development which allows him to indulge his passion for timber. The Book of Shed, Joel’s 2017 writing debut, guides its readers through the process of building their very own garden room, complete with case studies, and design suggestions, and is a product of his own considerable experience of the process. Everything that Joel builds for his clients is bespoke, and is the consequence of communication with the customer as to exactly how the finished space will function. “We design to fit a specific area but also for a certain lifestyle, and we’ve built everything from home offices, to nursery rooms and gyms. Indeed, Joel became the inaugural winner of the 2014 George Clarke’s Amazing Spaces Shed of the Year with a design that featured a green roof and reclaimed wood throughout. His second and most recent publication, The Table Maker, is part guide book and part elegy on the beauty of wood, but it is a work which goes much deeper. For Joel, our relationship with wood is a profound one and goes back to the dawn of our species. “I wanted people to think not just about buying wood and making something from it, but about where that would has been sourced and how it grows. It is the traditional skills of craftsmanship that Joel celebrates in his book and he encourages the reader to take them on, but how does he himself balance the demands of running a successful shed building business with writing two substantial works? “The Table Maker totals over sixty thousand words, so that’s quite a size, and it took me about six months to write.